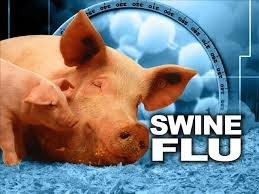 Aizawl, Feb 16 : Mizoram stepped up surveillance in view of Swine flu (H1N1) cases detected and a number of people killed in some parts of the country, state health department officials today said. Dr Pachuau Lalmalsawma, Nodal Officer of the state Integrated Disease Surveillance Programme (IDSP) said that vigil has been maintained since last year and stepped up after the spread of the dreaded disease in Delhi and other states. Passengers arriving at the lone Lengpui Airport near Aizawl, especially from high risk areas would be screened at the airport premises, Lalmalsawma said. Rapid Response Teams in all the other seven districts were also alerted to maintain strict vigil and also be prepared for any eventualities. A special laboratory was arranged at the Aizawl Civil Hospital where samples could be collected and a reporting desk at the Emergency department of the hospital. It was also decided that the State Referral Hospital at Falkawn near Aizawl was being prepared to treat any case of H1N1 if any.